The Service de Police de la Ville de Montréal spent more than $6,500 to promote the new black uniforms, according to documents The Link obtained under the Access to Information Act. Production of a video clip showing black-clad SPVM agents standing guard over Montreal account for most of the expenses, with the commercial costing $4,500. 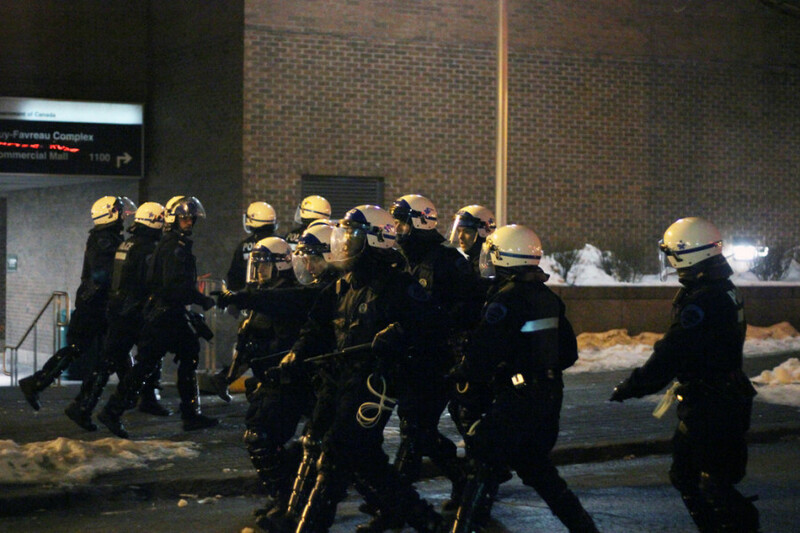 “We considered it a major change for our organization,” said Laurent Gingras, a spokesperson for the SPVM. The SVPM justified the change as following other municipal police forces’ choice of uniform. The other costs are split between posters and renting the Palais des Congrés to present the new uniforms to the press. Montreal’s police force spends about $3 million each year on uniforms according to the documents. SPVM Chief Marc Parent announced earlier this month the transition between uniforms would cost $20,000 to the taxpayers. All SPVM agents are supposed to be wearing the new uniforms as of March 5, but the Montreal police brotherhood is asking its members to wear the new uniforms only every two days— to put pressure on the mayor for current negotiations about the three-day week agents currently enjoy. “It’s an important colour change; we’re going from light blue to black-blue, which is the uniform worn by all [Quebec] municipal police forces, we were the last one to still have the light blue uniforms,” said Gingras.